Following a recent interview with Vulcan Post, NTUC Foodfare CEO Parry Ong copped flak for some of the comments made in an article where he shared his views on the ongoing allegations regarding social enterprise-run hawker centres. Users were triggered when Ong commented that hawkers have the “privilege of choice” to switch operations under NEA if they do not wish to work with social-enterprise run hawker centres (SEHCs). Several labelled him “arrogant” and even said “NTUC has lost its moral compass”. In a statement to Marketing, an NTUC Foodfare spokesperson said the team has contacted Vulcan Post to highlight that the headline was quoted out of context, and corrections have been made and reposted. The spokesperson added that what Ong had shared with Vulcan Post was for their better understanding of SEHCs, and it was not an intended interview for reporting. 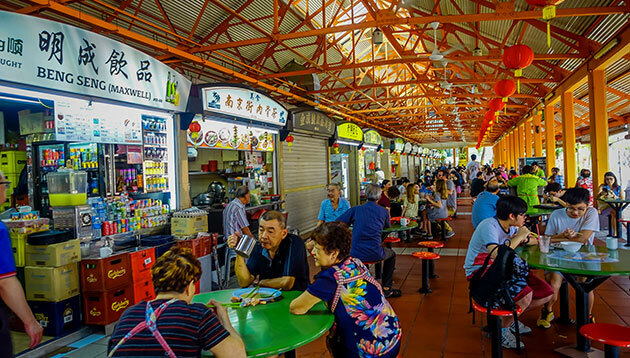 “Ong was putting across the point that given the various F&B retail formats available, hawker centre offers a low barrier of entry for aspiring hawkers. However, he understands that some hawkers may feel that SEHCs are not suited for them, they may consider non SEHCs, which do have available stalls. At the same time, we have shared with VP on some factual corrections. We are glad that VP has since made the corrections and re-posted the article,” the spokesperson added. Vulcan Post which has since re-published with a change of headline to “NTUC Foodfare CEO Claims Social Enterprise Hawker Centres Remain An Affordable Option For Hawkers” shared that following the publishing of the article, the team had noticed that the quote in the headline (although verbatim), had an unintended meaning when read out of context. “We revised our headline due to this and the article was republished later that day,” the note read. The news on Singapore’s hawker culture and the plaguing issues has been heavily discussed not long after Prime Minister Lee Hsien Loong announced during the National Day Rally that the Republic is looking for a spot on the UNESCO’s Representative List of the Intangible Cultural Heritage of Humanity. Meanwhile, NTUC Enterprise announced that it will be acquiring home-grown brand Kopitiam as part of its efforts in increasing the accessibility of affordable cooked food in Singapore. The transaction is expected to be completed by the end of 2018, subject to certain regulatory approvals and other customary conditions. Following the completion of the transaction, NTUC Foodfare and Kopitiam will continue to operate separately, with its respective management teams and employees remaining in place. Chesnut joins Mastercard from SapientRazorfish, where he most recently served as its global chief experience officer. ..
font and Salt have announced a strategic partnership in an objective to better meet the digital needs of local businesses and job-..
Patriot or traitor? HSBC has been hijacked by creative protesters with a mock ad which puts the bank in a sensitive democracy deba..
Is there a whole lot more animosity towards the term these days? ..